SEO agencies love to get involved and help out, but don’t expect your SEO agency to be able to solve all your problems. You need to take ownership of key online marketing tasks like content creation and strategy — these are things that only you can do for your business. Taking more ownership of your brand’s SEO means that you will create content and run campaigns that look (and feel) more like your brand. Need some inspiration on how to get started and streamline your business for SEO? Well, here are nine things that you SEO agency can’t do for you. And before we look at what your agency can and can’t do, make sure you are using these five tactics to increase your rankings in 2017. Some companies aren’t ready for digital marketing, and even the most talented SEO agency can’t help a business that isn’t ready to change. It’s upto you to make sure that your business is agile, and ready for the demands of the digital world. lack of time devoted to core marketing activities. Practical issues like these can really hold you back and stall your SEO growth. If you are not getting the results that you’d hoped for when you set out, consider whether your business needs to make some adjustments? You may need to review internal operations as part of your SEO investment — this includes internal content production, workflow, and approvals. A lot of companies expect an agency to be able to fully convince them that they need to outsource their SEO — but the truth is that organisations need to make that decision for themselves. There are a lot of things that you can manage in-house without an SEO agency, and you need to come to a balanced decision about whether it’s worth you hiring one. Maybe a staff change or a new project have recently highlighted an increased need? If you are not sure whether you need a SEO agency, maybe you need a little bit more time to think about it. Never feel pressured into signing on the dotted line — the best SEOs will give you plenty of time to consider their offer. Use free calls, trial periods, and web audits to gather crucial information about how your SEO agency will operate, and what extra value (if any) they would be providing. 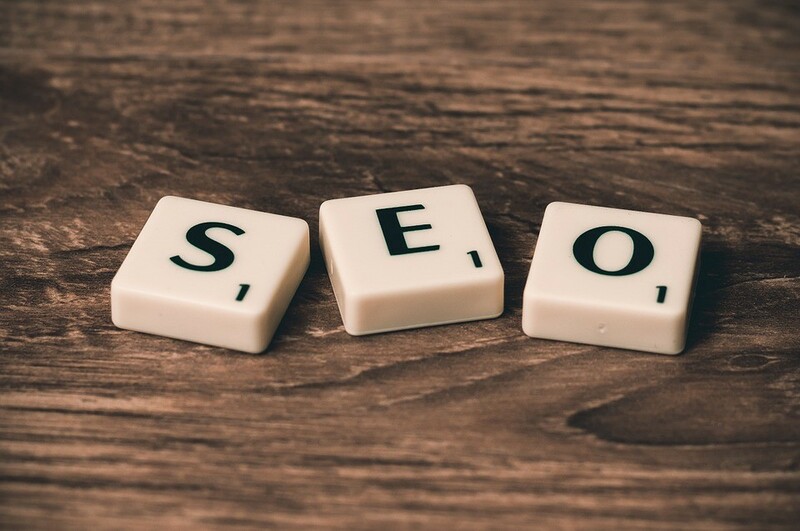 The honest truth is that not every organisation needs SEO agencies, and the best SEO’s will be completely happy to tell you when their services aren’t needed! (Watch this Google video for more information). Content production is something that your brand needs to do for itself — you need to really commit to documenting your brand life in writing, and engaging with your audience. Creating consistent and quality content is one of the most important things your organisation needs to do for its digital brand, but other things often get in the way when businesses get busy. Not creating content fast enough can impact your rankings negatively and stall digital marketing campaigns — so you need to get good at keeping to your content strategy no matter what. Use writing tools to speed up your SEO content production in-house — you can now easily produce optimised content in-house, fast. Make sure that you allocate team members to specific content tasks so that everyone knows what is expected of them. A lack of leadership can negatively impact content production. Expertise is one of your most important assets, but if you don’t have time to share that information with anyone, then no one will be able to do great things with your digital brand. Don’t expect to be published on huge industry sites without giving interviews and free information away. It’s frustrating to know that an organisation is full of talent and expertise, but is unable to put that talent into words because of time constraints. Make sure that you put the effort in, and create high-level content that will place you at the top tier of your industry. Not convinced yet? Check out these eight thought leadership benefits. Being more visible online, may create more work for your team — whether that’s responding to reviews, or dealing with customers on social media. Customer service is a central component of great local SEO. This is an important phase for a company who is growing up online, and is not something that should be palmed off to externals. Of course you can outsource parts of your digital brand, but it’s never a good idea to fully automate customer services with no input from head office. You need to take responsibility for your digital brand in order to take control of your customer experience. Technical SEO is a complex discipline that may require big web development changes; don’t expect an SEO consultant or agency to be able to implement best practices without appropriate development access. Fixing indexing issues and implementing information architecture modifications are essential; depending on the content management system you use, your agency may need full developer access. Give both your SEO and development agencies access to each other so that they can discuss issues face-to-face (or over email and phone). After you have made the introductions, you can be as involved as you like! You web environment dictates what SEO improvements can be implemented — and you may need to find an agency who specialize in your particular niche or web technology, especially if you are working with something more specialized like Drupal or Magento. SEOs are generally good at thinking on their feet and getting around development issues — but some online stores are simply better for SEO. WordPress is always a solid business website choice — favoured especially by young companies and tech startups thanks to its mutability. You need to keep on top of online expenses — don’t leave this fully in the hands of an external agency. Respect any fees presented to you, but be clear on how much you have to actually spend so that you don’t get into trouble. At the end of the day, you’re the only one who can make the final decision on how much money you have to spend. Don’t get caught up in fancy campaigns and future possibilities, if that’s not something that you can support with regular cash flow right now. Your SEO agency will probably recommend that you spend more time on social media, and that you promote branded content through your channels — these create vital engagement signals. You can hire an external social media manager to create an engaging social strategy that genuinely excites and delights your audience. But a brand that has no control over their social media is not really embracing digital. Businesses need to be out there on social, learning from, and interacting with, their customers and clients. Not only is it great for brand engagement, but it also provides you with content research ammo. You need to be clear on what your brand stands for, and how you want to be seen online. If you hand over full control to someone else with no direction, you may not be happy with the results. The best way to manage social is to have an open and honest discussion about your brand guidelines and agree on social deliverables and KPIs. Need some inspiration? Use Hootsuite to collectively manage social media, and use Feedly to find the best content to share. SEO in 2017 isn’t cheap. Back in 2012, there were things that low-budget SEO could achieve: cheap links, syndicated articles, paid followers — those days are long gone; modern SEO is strategic and content-led. Businesses often try to save money when it comes to SEO link building, but skimping on campaign budgets can be a false economy; doing things on the cheap may end up costing you more in the long run. Cheap SEO links are associated with dodgy tactics that are linked to penalties — you are much better off creating quality content and focusing on relationships instead. You won’t be able to get to the top of Google in a matter of days, and don’t expect every link or every page adjustment to be reflected in huge rankings jumps upwards. SEO is a long-term investment and a long game. You get what you put in. That’s why it’s so important that you find a SEO agency you can trust, and who share the same values as your business. Spend time talking to people on the phone and in-person to get a real feel for what type of agency will work for your business. At the same time, don’t expect an agency to be able to completely revamp your digital brand without a considerable time investment from yourself. You need to work on team dynamics and ethics, and focus on optimising your in-house content operations. Only when everyone is in agreement can really great work start to happen. What’s your biggest SEO challenge right now?